Miami's Wynwood neighbourhood is set to construct a Dutch 'woonerf'. A four block area along Northwest Third Avenue in Miami’s Wynwood neighborhood is about to become a ‘shared street’ called a ‘woonerf’, a concept originated in the Netherlands. Located just west of Northwest Second Avenue, Wynwood’s primary commercial corridor, the area between Northwest 29th Street and a dead-end at 25th Street will become Florida’s first true woonerf. The Wynwood Building along Northwest Third Avenue, where a woonerf will soon be implemented. A woonerf goes beyond what would be considered a ‘complete street’ in US terms. Whereas a US ‘complete street’ gives equal priority to all users (autos, bicycles and pedestrians), pedestrians have ultimate priority within a woonerf- no indications of a car lane are present and the pedestrian public realm is extended into what would otherwise be considered the street. Traffic calming elements (cobblestone materials, curved streets, etc) are added in a woonerf, so that vehicular traffic is restricted to a ‘walking pace’ (under 10mph) and people on foot, in cars or on bikes can mix freely and safely. In addition to the roadway redesign, city officials are also developing a tree and landscape master plan for Wynwood, seeking to ‘green up’ and enhance public space along the neighborhood’s commercial corridors. A typical woonerf. Image: Silverman Trykowski Associates Inc.
Local Office Landscape and Urban Design out of Brooklyn, NY has been tasked to design Wynwood’s roadway re-design. The firm previously designed the recently reconfigured Giralda Avenue, known as Restaurant Row in downtown Coral Gables. Restaurant Row has many design elements that are inspired by a woonerf. The street now features trees lining its center with a curbless design and ample street furniture. 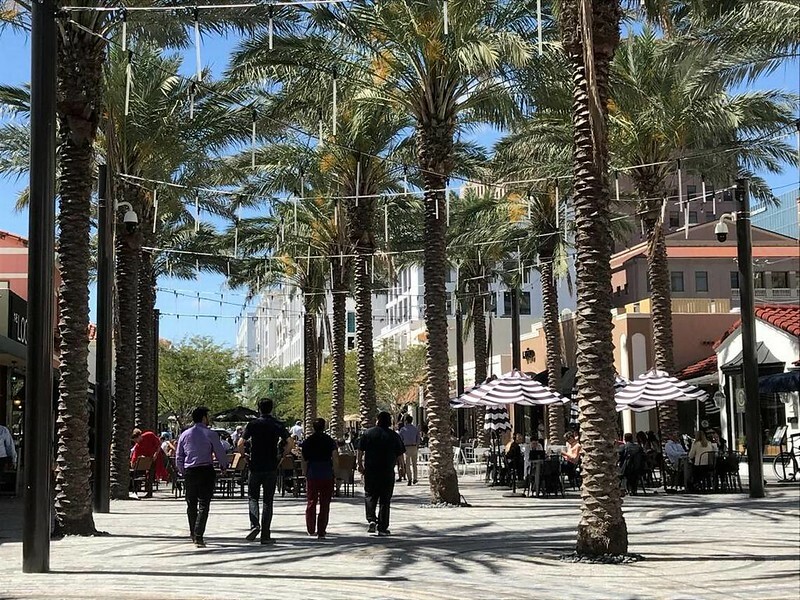 The new street also was re-built with resiliency in mind, able to absorb high-volume rain events while siphoning runoff to plant roots among the palm trees and mature oaks that line the boulevard. Since reopening this year, the street has been closed off to vehicular traffic for the next two years. Hence, why Wynwood’s future redesign can soon claim the designation of being Florida’s first true shared street. Restaurant Row, designed by Local Office Landscape and Urban Design. Image: City of Coral Gables. The concept has recently been implemented in US cities such as Seattle, Minneapolis and Denver. While true Dutch versions replace signage and curbs with colored pavement and bollards, Miami’s version will likely have some sort of signage and barriers to demarcate primary zones for pedestrians and automobiles due to Miami-Dade County regulations governing road safety. Given that a woonerf does not exist in Florida’s Greenbook (which governs design standards for street and highways),Local Office can be creative in how auto traffic is physically seperated from pedestrian movement. It could be that attractive landscaping ultimately provides that buffer, while still providing a seamless aesthetic. Originally called Wyndwood, the neighborhood was platted by Josiah Chaille and Hugh Anderson in 1917 and developed as a working-class community during the 1920s. Adjacent to the Florida East Coast Railway, the area began to develop into a industrial and garment district by the end of the booming 1920s. Early 20th century companies with operations in the area included the American Bakeries Company (Merita Bread) and a Coca-Cola bottling plant. By 1980, it was said to be the third largest fashion district in the country with 225 clothing retailers and manufacturers. Wynwood’s conversion into an arts epicenter dates back to 1987, when a group of artist seeking spaces with lower rents, converted the former American Bakeries Company into a large working artist’s space called the Bakehouse. In 2003, the Wynwood Art District Association was founded by art dealers, artists and curators. In 2006, Goldman Properties, a firm related to the revival of South Beach and NYC’s SoHo, began acquiring several buildings in Wynwood’s warehouse district. Goldman’s vision was for the district to become a canvas for urban street art. Since the 2009 opening of Wynwood Walls, an outdoor gallery of murals, the neighborhood has become just that. Now home to over 70 galleries, museums and collections, Wynwood is one of the largest open-air street art installations in the world. In 2015, Miami’s City Commission implemented the Wynwood Neighborhood Revitalization District, a sweeping set of design guidelines that will shape the neighborhood’s future built environment. 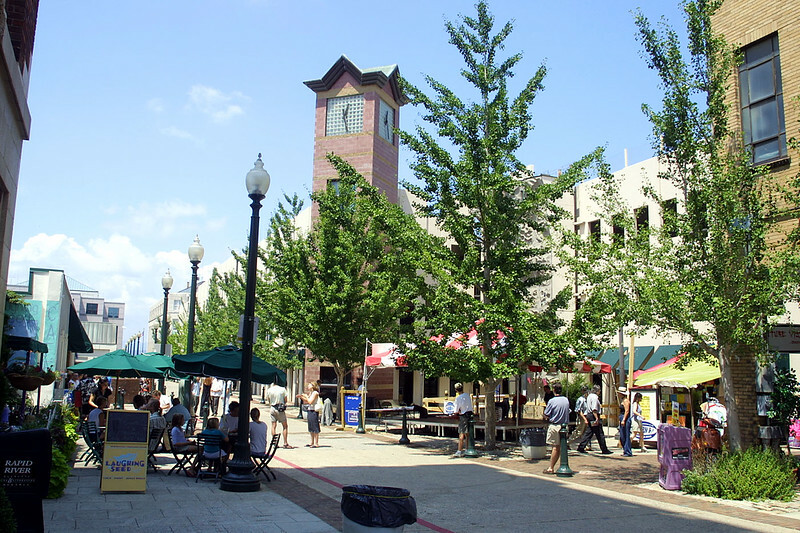 Building upon the market-rate redevelopment that has rejuvenated the neighborhood, the new zoning code updated obsolete land use rules that had reflected the neighborhood’s previous industrial life. For a virtual tour of the neighborhood, CLICK HERE. 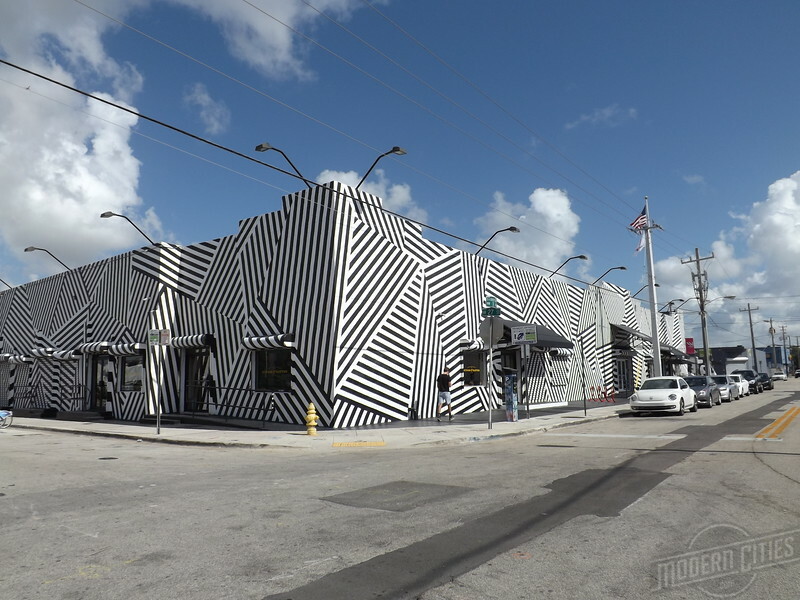 To learn about the Wynwood Arts District, CLICK HERE.